The past January, my wife kids and I were back in Los Angeles for a couple days. Day One: enjoying the Tournament of Roses (more commonly known as the Rose Parade), and seeing Space Shuttle Endeavour. Day Two: Universal Studios, Hollywood. Here's a link to our first couple hours there, seeing "The Wizarding World of Harry Potter" and "The Simpsons Land." 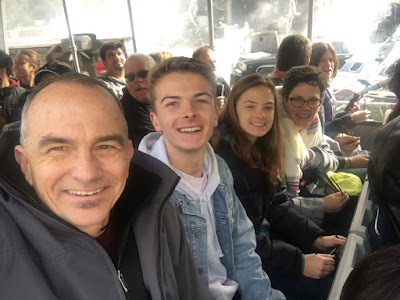 Next stop was Universal Studios famous tram tour. The tour lasts approximately 45 minutes. It covers a lot of ground, and honestly felt very rushed. Kind of cool to see places like the Courthouse Square from Back to the Future, but - like everything else - wish we could have more time to enjoy it. One of one the New York City sets. The small blue bus is for the VIP tour, which costs significantly more, but allows you to walk around the sets a bit. One of many New York City set buildings. Yes, these are false fronts. 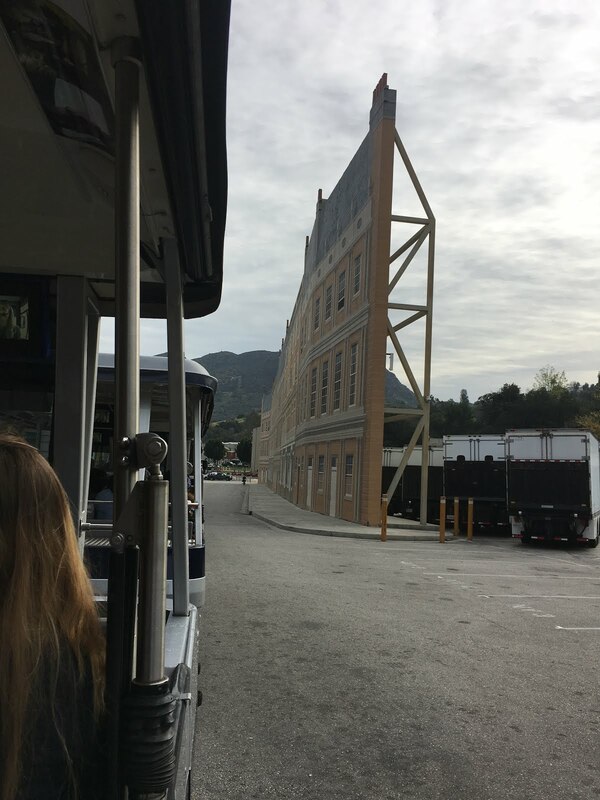 My kids had never seen a studio backlot, so from them, just driving through was pretty cool. I wish the tour would have stopped for a couple of minutes, just to open the door and show - yes - there's nothing behind the doors. A big draw is the various "special effects" during the tour. This is the entrance to the King Kong scene. Years ago, it was a massive 3-D mechanical audio animatronic - one of the largest in the world. Pretty cool. Today, it's just a film. That was a bit disappointing. I like the massive three (or is it four) story false front. Unlike the streets of New York, this isn't three 3-D, although it looks that way on camera. Cruising through the European Streets section. 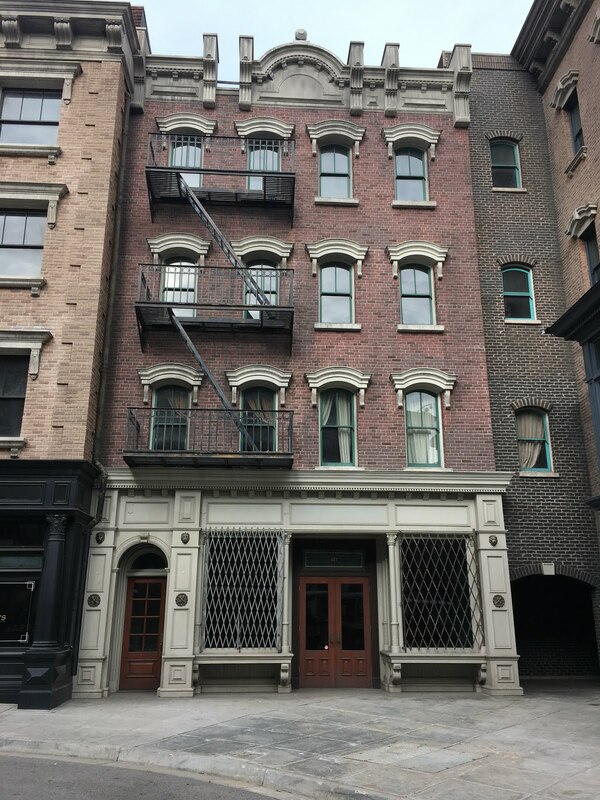 One thing I noticed was how EMPTY the streets and entire backlot felt. Probably because we were there during the Christmas/New Year Holiday season. No filming going on. If you're planning on going, and have flexibility in your schedule, try a weekday, especially during the Spring. You'll have a better chance of seeing some sort of actual production - or at least workers walking around getting stuff done. Universal Studios is, first and foremost, a working movie studio. Also part of the tour: the San Francisco Earthquake scene (really, the best of the bunch), the mechanical Jaws shark (fun, but cheesy) and the plane crash scene from War of the Worlds (morbid) were part of the tour. There was also suppose to be classic "flash flood" scene. Not sure why, but our tour skipped over it. Disappointing. A final view of another street in the Europe section. The "grand finale" of the tour was the Fast and Furious scene. Honestly, another intellectual property we could care less about. No one in our family has seen any of these movies, nor do we have any interest. Throughout the tour, there were breaks in the dialogue, as if "something was going on" with the characters from the movie. It felt really contrived. The tour tram went into a building to watch the Fast and Furious finale which was - you guessed it - yet another movie. Seriously? My wife, teenage kids, and I though it was so lame. 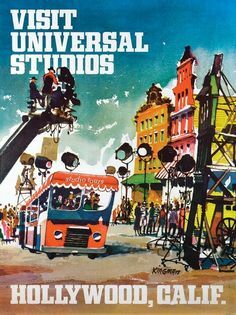 I'm old enough to remember when the tour tram was Universal. It was literally an all day tour, with a lunch break in the middle. There were many more special effects along the way, and you literally got out and walked through various sound stages to learn how movies were made. It felt so amazing. I'm not suggesting that Universal go back to that, but certainly wish it wasn't so rushed - and you learned, and perhaps even saw, how movies are made. That's the whole point of the tour, right? More next time in Part III.